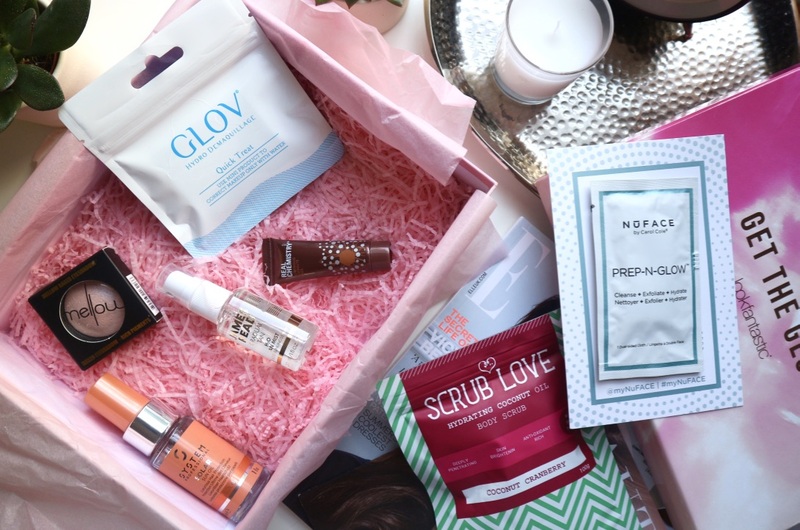 This month's Look Fantastic Beauty Box is all about celebrating getting your glow back! Summer is just around the corner and judging by the weather this week it's closer than we thought. Yeyyy! "Discover how to get glowing inside and out, with our mesmerising makeup and skincare selections, as well as lifestyle tips for your most beautiful and radiant look yet". 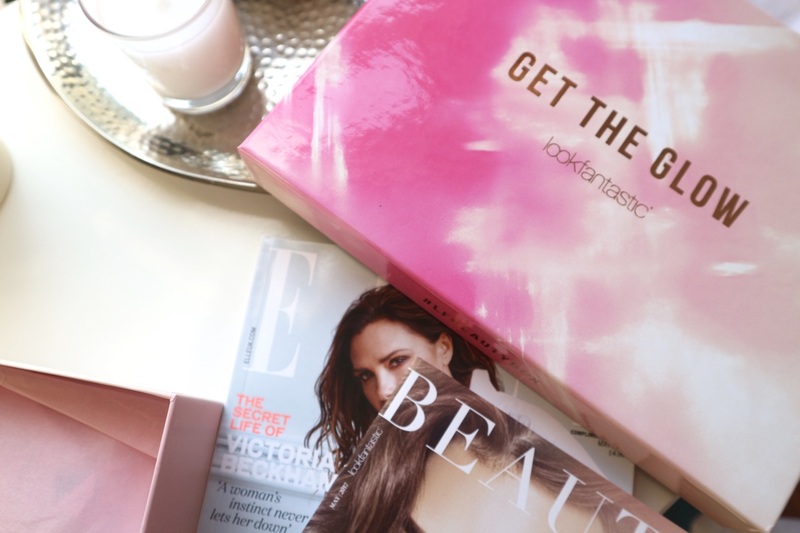 Make sure you scroll to the bottom of this post to find out how you have TWO chances to get your hands on a LF 'Get The Glow' Beauty Box all of your own! 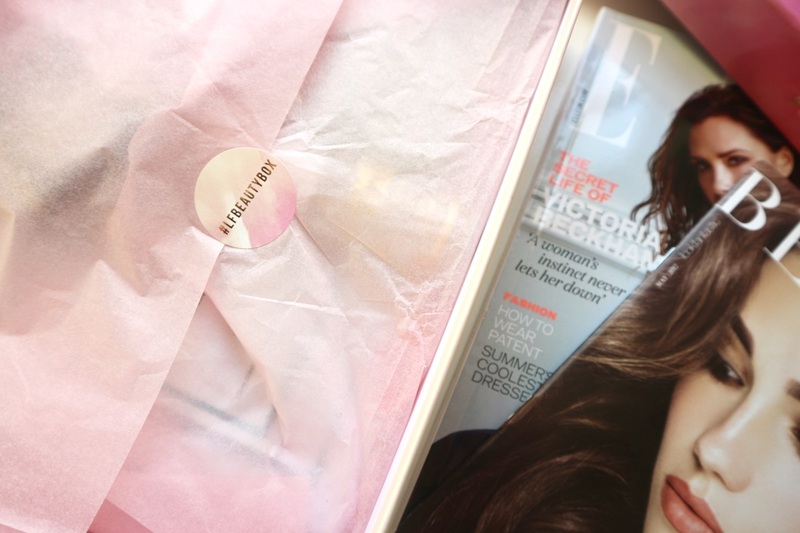 If you haven't picked up your own Look Fantastic May Beauty Box yet and you're worried you've missed it - don't be. 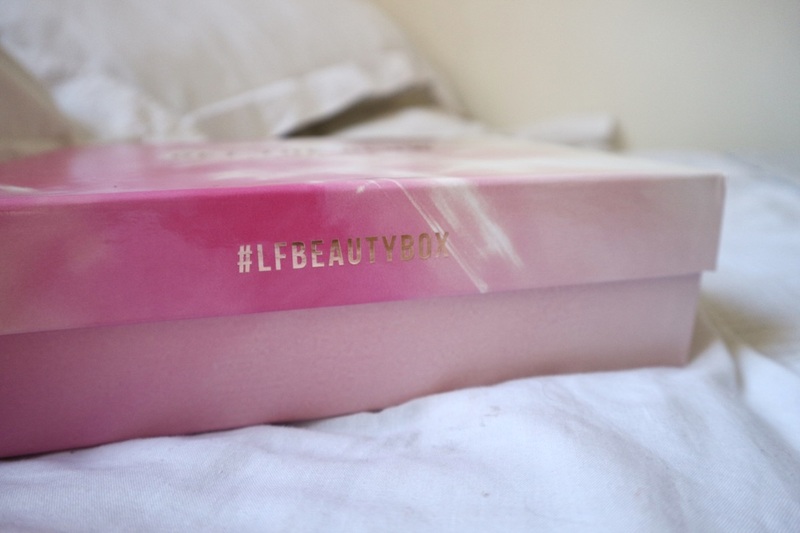 That's the great thing about the LF box ; you can buy past months boxes all year long on their website. This month you have 7 goodies worth £60, all selected for you to get your glow on AND a handbag sized May Elle magazine. Lets dive in . . .
'This fine mist hydrates and nourishes the skin, whilst also imparting a hint of colour for a sun-kissed finish'. 'A potent elixer, enriched with a blend of oils to nourish and condition the hair'. I've been using the System Professional Luxe Oil for about a month now and I LOVE it - my hair has never felt in such condition I'll never be without it now, so I was dead excited to receive the Solar oil in my box. The Solar oil in its handy travel size 30ml protects against exposure to sun, sea and salt - I'll definitely be packing it for my holiday to Italy in a couple of weeks! 'This natural exfoliant is formulated with 100% Organic and Roasted Coffee, as well as Coconut Oil to gently smooth your skin. Oh and it smells divine'. Seriously, this smells amazing and as it's getting hotter it's time to get the bod out so a good ol' exfoliate is just what I needed! 'Whichever colour you receive, your eyes will thank you for. The softly pigmented shadow gives a gorgeous shimmer for a bright and luminous finish'. The pigment on this eyeshadow is an absolute dream! I got it in peach and I'm slapping it aalll oovverrrr my face ; I'm using it as an eyeshadow, inner corner eye highlight, brow bone highlight and even on my cheekbones. I'd never heard of Mellow before but I'm so impressed with this eyeshadow and they are really affordable! h I would definitely try other products but it's just such a shame I can't actually purchase it off Look Fantastic. 'Made from hypoallergenic fibres to gently remove makeup and impurities, and leave your skin healthy and glowing'. I actually haven't used this yet so I'll have to take LF's word for it. 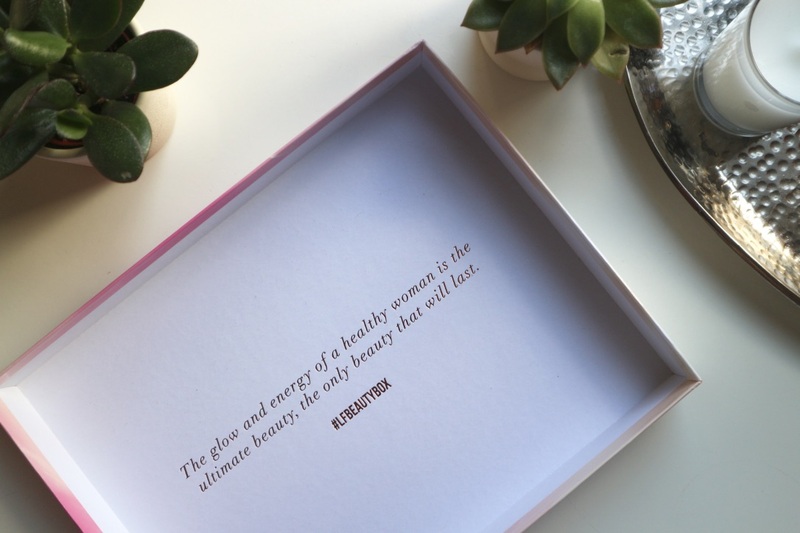 What tickles your fancy out of the Look Fantastic 'Get The Glow' Beauty Box? How do you get your glow on? If you would like to win a box of your own there are TWO ways you can win. 1) Head to Twitter, follow and re-tweet the giveaway tweet. 2) Click on over to Instagram, like the photo, comment and tag one friend you think would also like to win. Open to UK entrants only (sorry), and you can enter on both channels for double the chance of winning! *The LF May Beauty Box I am reviewing I bought. The two boxes I am giving away were gifted by Look Fantastic.